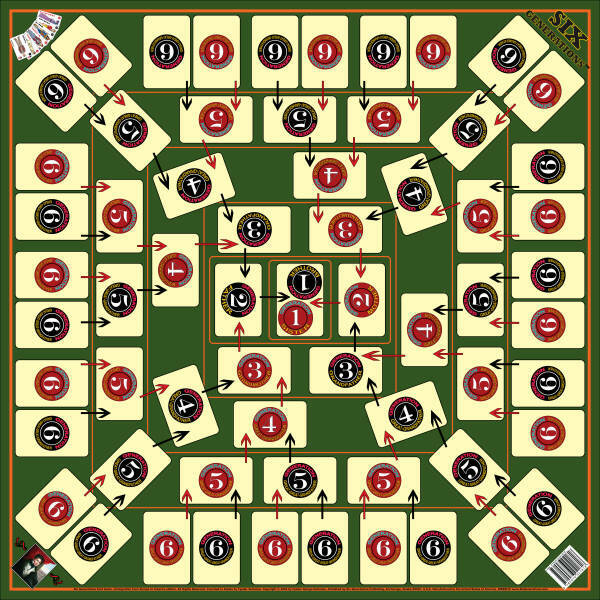 GAME BOARD FOR PLAYING SIX GENERATIONS CARD GAME AS A BOARD GAME. size of the board 28 inches x 28 inches. The size of print of this genealogical playing map for Six Generations card game is 28 inches x 28 inches. The map will be send to you rolled in the mailing tube as any paper poster. After receiving it, unroll it accurately and place on the flat surface (table or desk) to rest until it become totally flat and playable. After finishing the game I recommend to keep it on the wall like any paper poster. This way you do not have to roll und unroll it each time. For proper care of this board it is better have this beautiful print being laminated. It might cost you about $8 - $12 at local shop like FedEx or else but it's worth to do it to preserve the board in your family for a very long time. For the best results, take it to the printing shop in the mailing tube as soon as you receive it to have professionals unroll it and run through the laminating machine. The other way to upgrade this playing board is to have it framed with unbreakable glass, or acrylic. You can do it even now while ordering this print from Zazzle. Select the frame of your choice and get it shipped to you as a picture. 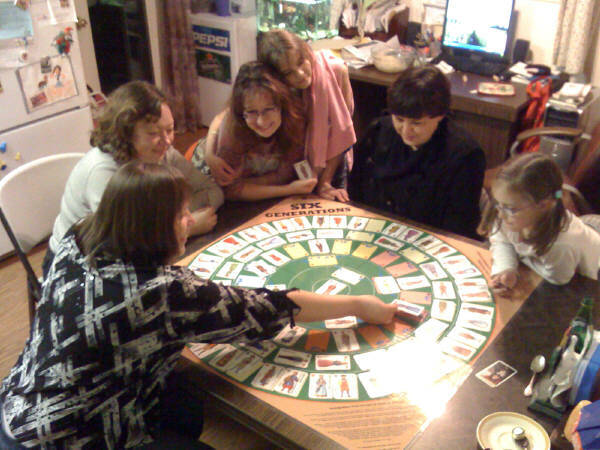 Keeping this picture-map on the wall in the family or kid's room will bring additional memories about family history, and help to create ideas of how to play Six Generations card game. 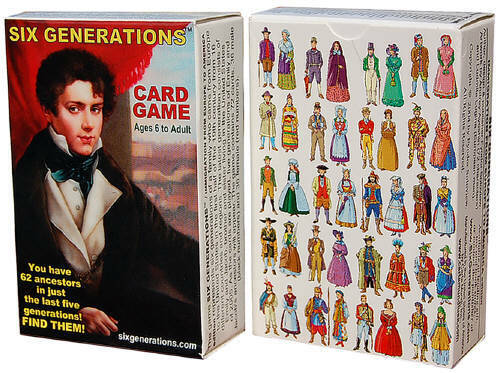 If you did not have yet the pack with Six Generations playing cards, you can order it here, at this website , also at Amazon.com -- http://www.amazon.com/dp/0976041804/ , and other retailers across the globe. This tuck box with 72 cards cost $8.97. 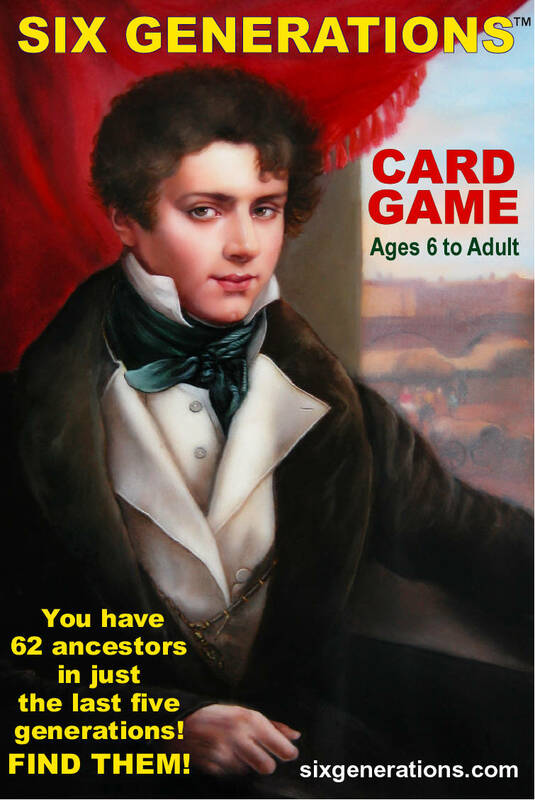 With Six Generations Card Game, Immigration from Europe to America edition, you will increase the understanding and value of your family history while having fun of playing smart, family-oriented and non-violent history game! 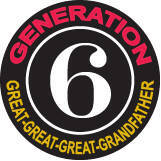 Board for Six Generations Card Game. Size 28 inches x 28 inches. Click here to buy this map board at Zazzle.com. Price: $23.05.